November 14, 2017- US President Donald Trump has praised the Philippines for closing the gender gap and embracing women leaders. 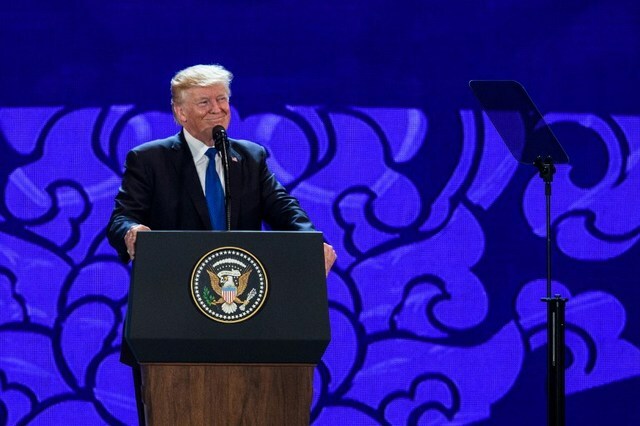 Trump has expressed his positive views about how the Philippine workforce and governance has given a good light to female leaders in the country in the recently concluded Asia-Pacific Economic Cooperation ( APEC) CEO Summit that was held in Da Nang, Vietnam. For the past 11 years, the Philippines has been able to top the Asian Countries when it comes to closing the gender gap, this means the country has a history and culture of embracing women leaders in business and in politics. “For 11 consecutive years, the World Economic Forum has ranked the Philippines first among Asian countries in closing the gender gap and embracing women leaders in business and in politics,” said Trump on Friday, November 10. The Philippines maintained its status as being the most gender equal country in Asia. The Philippines was one of the first countries in Asia to have a female president and continued to have a history of female leaders in various government offices. President Trump also praised the Philippines for being a “proud nation” with “strong and devout families”.